Home » Australian Author » Jo Burnell » Picture Books » Reviews » Reviews by Jo » Review: Jonathan! It’s weird to read a story written by Peter Carnavas that is illustrated by someone else, but Amanda Francey is well and truly up to the task. Her use of delicately outlined characters with a minimum of background makes the story’s actions take centre stage. 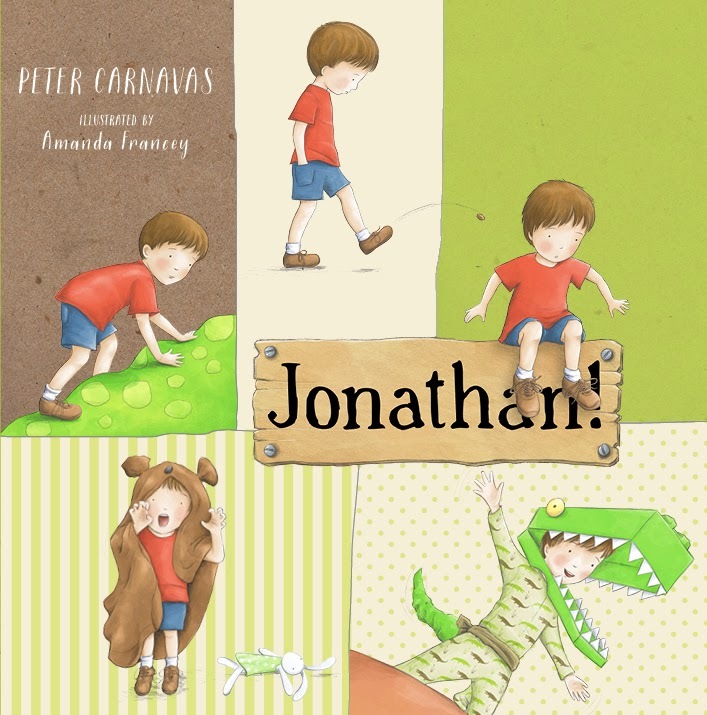 Jonathan lives to scare someone in the family, but everyone has the same answer: ‘Not scary, Jonathan.’ That is, until Jonathan climbs a bumpy mountain that turns out to be a DINOSAUR! Simple wording coupled with adorable illustrations make Jonathan! a winner for all ages. It might even lead to a serious bout of dress-ups and scare-mongering around the home or Preschool. Adorable.